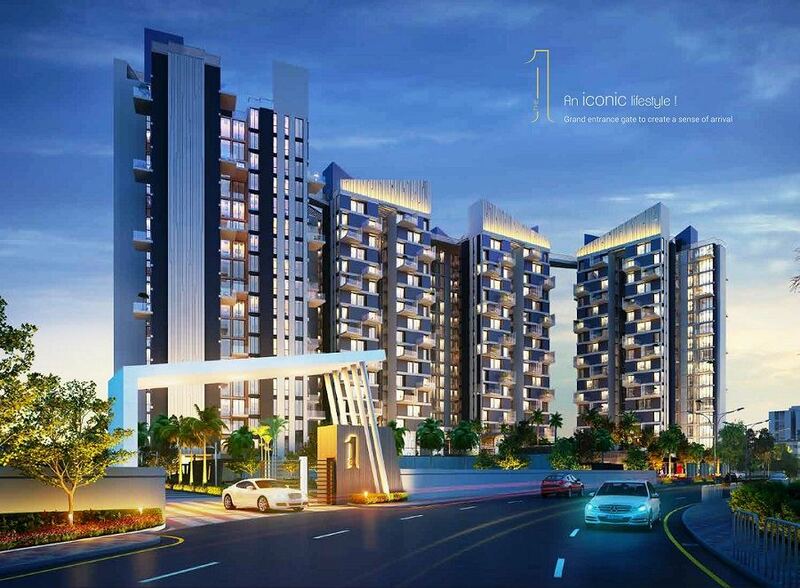 "The 1" at Kolkataproperties.in for flats-apartments in Tollygunge Karunamoyee near Diamond City South. A lifestyle apartment comprises of exclusive designed flats inspired by The Amazon Rainforest, The floating concept of the city of Venice, the tradition of La Tomatina and the Olympics. Merlin Group is one of the popular residential developments in Tollygunge, one of the prominent locations of South Kolkata. A project with immense potential for both investors and end users. 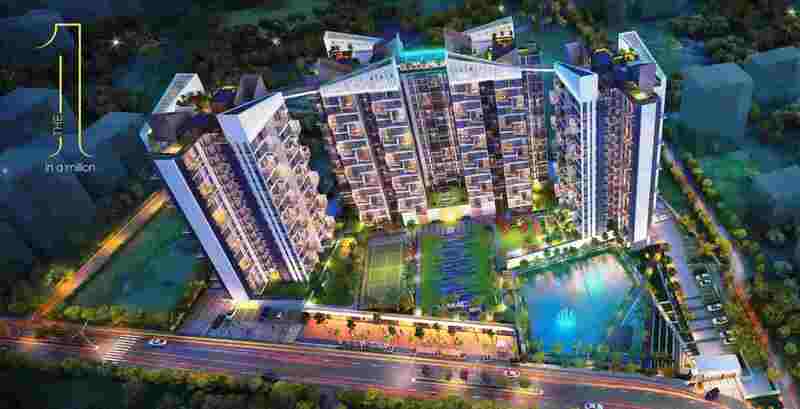 "The 1" is one of the residential developments of Merlin Group, Merlin Group is a recognized and admired brand which has moved from strength to strength over past three decades. 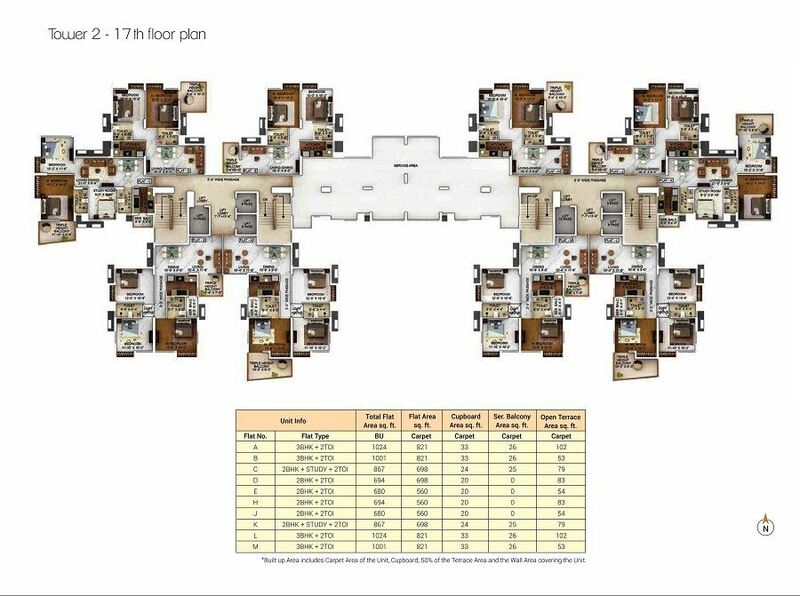 This project offers a lifestyle beyond compare where you can explore the true meaning of luxury and world class living at an affordable price. The project offers 77% open space, serene landscape all around, your own romantic retreat where contemporary meets family-friendly. It lays the right foundation for a beautiful space, iconic hi-rise towers with connecting roof. This premium project is located in Tollygunge, the project is high on convenience and thereby constitutes a prime location of premium South Kolkata. "The 1" is few minutes away from Tollygunge Metro and easily commutable through other means of public transport. 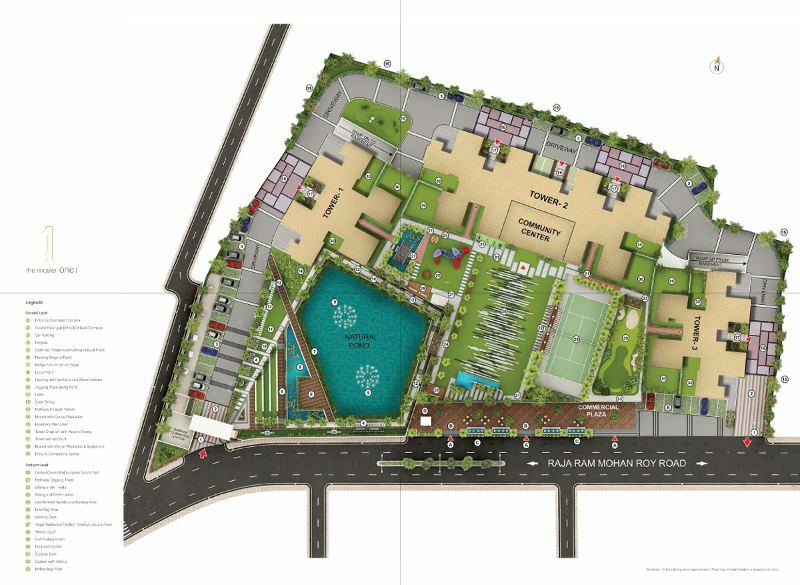 Each flat is a compact 2-3 Bhk embellishment spread over approximately 908-1360 sq ft. The lifestyle amenities like rooftop swimming pool, community hall, private gardens and games room add up to the entertainment factor and a complete urban lifestyle. The prerequisites like power back up, 24 hr water, security, premium car parking spaces are also available at Merlin "The 1". These budget homes are architecturally designed and strategically located offering value for money. "The 1" is the perfect destination if one aspires for a descent neighborhood in a prime location like Tollygunge one of the premium posh locality of South Kolkata. Modish entrance lobby with premium wall finishes, combination of Italian marble, granite, polished veneer & paint. An iconic building, meticulously designed with state-of-the-art specifications. Split Air-Conditioning in all rooms including the dining/ living room(not in Bathroom/ Kitchen/Balcony). Reinforced cement with concrete on piles and sheer walls wherever necessary Strict surveillance on quality. Polished flush main door. Painted flush door in bedrooms, bathrooms and kitchen. Large 800x800 vitrified tiles in living, dining & bedrooms. Kitchen floor with heavy duty matt finish ceramic. Anti-skid floor tiles in bathroom and designer tiles on walls up to 7 ft. height. Designer Vitrified tiles/Laminated wooden type flooring in master bedroom. High speed automatic lifts of reputed brand with well-decorated lift cars. One stretcher lift with capacity of 13 passengers. Overhead illumination for compound & street lighting inside the complex. Use of LED lighting in major areas to minimize common area power consumption. PVC conduit pipe with copper wiring, MCBs/ELCBs with sufficient power points for electricity, telephone, internet etc. and other necessary gadgets inside the apartment and cable outside. Fire resistant wires with premium modular switches of reputed brand. Quality earthing for all electro-mechanical gadgets 24x7 Security & Fire Prevention. Power back-up up to 5KVA sufficient to run all your electrical gadgets including Air-Conditioner. Security surveillance facility with CCTV. Fire fighting arrangements as per recommendation of West Bengal Fire Service (as per Provisional NOC). Video door phone facility. Intercom system. Anti-termite treatment during various stages of construction. Thermal insulation treatment for the roof. Apartment assures 24 hour treated water supply. Superior quality waterproofing wherever necessary. Granite counter top. Dado of ceramic tiles above platform up to 2 ft. height. Stainless steel sink. Hot & cold water provision. Water efficient sanitary fixtures of reputed brand. Top-of-the-line international quality fittings of reputed brand. Designer large-sized wall tiles up to 7 ft. height. Anti-skid flooring. Hot & Cold water provision. Ample open space and greenery all around. Terraces in some apartments to give a blissful feeling. Meticulously planned apartments, two/three sides open with cross-ventilation and adequate daylight.